Published in the Jan. 12 issue of JAMA Internal Medicine, the study found that many older diabetes patients received aggressive treatment for their disease regardless of their health status and blood sugar levels. In patients with diabetes age 65 and older, this could result in hypoglycemia, a serious health threat, which can lead to confusion, coma, and even death. Lipska and her colleagues conducted a cross-sectional study that analyzed the health records of 1,288 patients age 65 and older with diabetes from the National Health and Nutrition Examination Survey (NHANES). The team analyzed glycemic control levels recorded in NHANES between 2001 and 2010. Patients were divided into three groups based on their health status: very complex/poor, complex/intermediate, and relatively healthy. 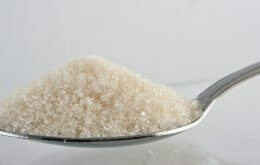 Blood sugar was considered controlled if it fell below 7%. About 62% of the patients had blood sugar levels less than 7% and this did not differ across health status. Of those patients, 55% were treated with either insulin or sulfonylureas medications. Other authors on the study included Dr. Joseph S. Ross, Yinghui Miao, Nilay D. Shah, Dr. Sei J. Lee, and Dr. Michael A. Steinman. The study was supported in part by the following: The Pepper Center Career Development Award, the National Institute on Aging, the Yale Clinical and Translational Science Award (CTSA) grant from the National Center for Advancing Translational Sciences (NCATS) at the National Institutes of Health, and the American Federation for Aging Research through the Paul B. Beeson Career Development Program.